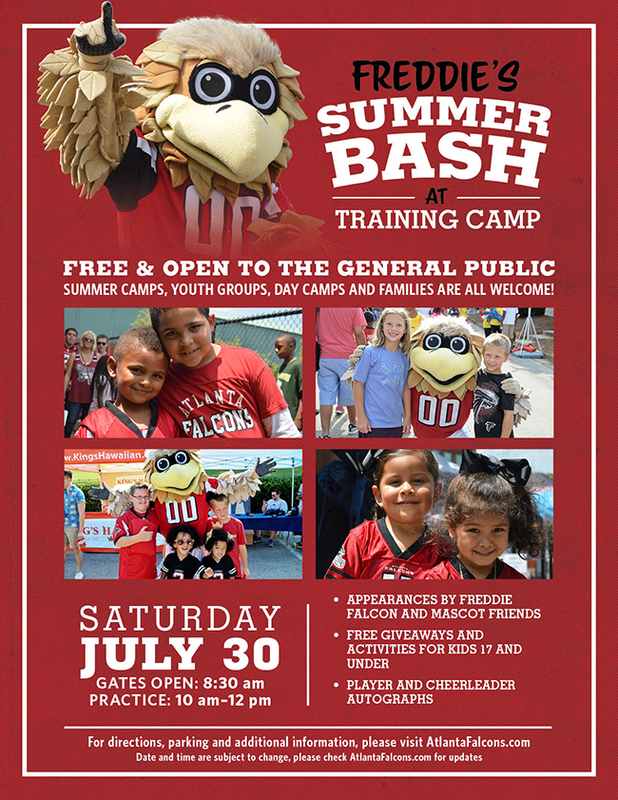 First of all, join Freddie Falcon and his mascot friends for a fun day at XFINITY Atlanta Falcons Training Camp full of free activities, free face painting and giveaways for kids 17 and under. Then, get photos and autographs from the players. Also, don’t forget to bring the whole family to join in with the festivities. In addition, make sure you drink plenty of water. It is hot outside.